We have a pantry full of Girl Guide biscuits (and unfortunately they're nothing like the amazing GG biscuits of my childhood) so I've been looking for ways to use them. So I blitzed the living daylights out of them and reincarnated them as the base of a cheesecake. But don't despair if you don't have any Girl Guide biscuits, you can use any sweet biscuits to make this cheesecake. Place the biscuits in a food processor and blitz for about 30 seconds until they resemble breadcrumbs. Transfer the crumbs to a bowl and add melted butter and stir till combined then pour into a 24cm (9½“) springform tin. Use your fingers to press the biscuit over the base of the tin then set aside for the time being. Combine the cream cheese, sour cream, eggs, sugar and vanilla in the food processor bowl. Blitz for 10-20 seconds then scrape down the sides with a spatula. Blitz again so that all ingredients are combined. Pour the filling over the biscuit base then place the melted chocolate into a small plastic bag. Cut the tip off the corner of the bag so that it's like a piping bag. 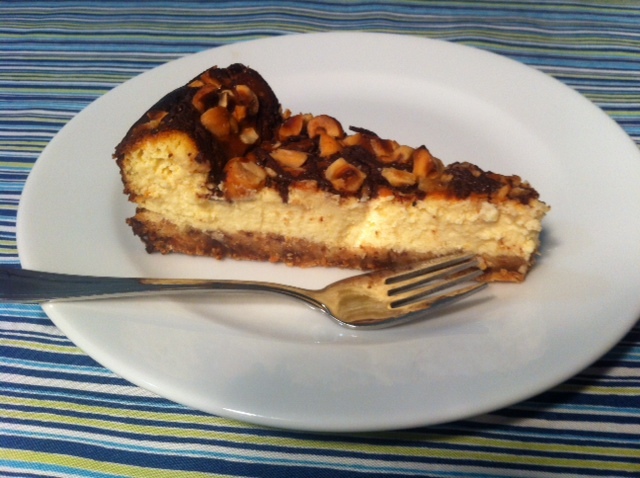 Drizzle the melted chocolate over the cheesecake in a random, squiggly pattern then scatter the nuts over the top. Place the springform tin on an oven tray (because they often leak) then bake in preheated oven for about an hour or until set. Allow to cool in tin then remove the collar. Freeze: Place the cheesecake (on the base of the springform tin) in the freezer. After an hour or two, wrap the cheesecake in cling wrap or place in a large plastic bag. Return to the freezer. Defrost: In fridge (or partially defrost on the kitchen bench before finishing in the fridge). Not suitable for the microwave. 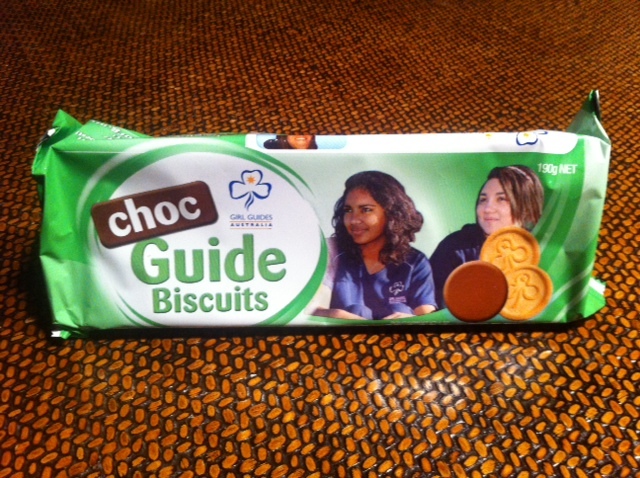 * I used chocolate-coated Girl Guide cookies but you can use any biscuits. Normally I'd use Arnotts Scotch Finger biscuits. ** I use low-fat cream cheese and sour cream and it's fine. It's still a heavy-ish dessert so it's worth cutting a few calorie corners if you can!